theres a looooong queue of people walking allthe way from the metro station trying to make their way near to the burj khalifa to see the fireworks. and there we can see the "sofitel", music blaring, a party is underway. wow thats a pretty big crowd. party! 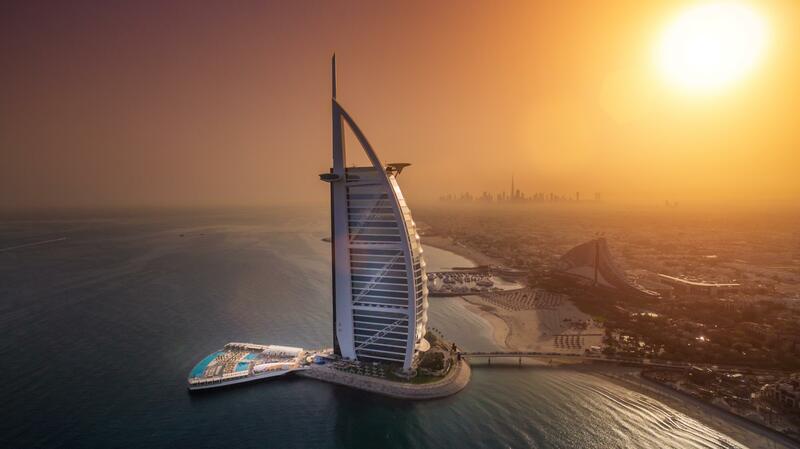 Burj Al Arab, baby, ready to party? it's very very crowded as you can see. it's a bit loud here too. people are just sitting on the floor, waitingfor the fireworks to begin. whoops! focus! focus osmo. the polica are, as usual, security is verystrong today. thaaaats our apartment. no, that's not the apartment. that's the west tower.that's our apartment. ohmy god! look at that. people are just. we can just walk down theroad. unless.they are just sitting on the floor. so many people. just waiting for the fireworks to begin. they have their gears all ready, tripod andstuff. where is our tripod? yes! where is it, my love? another 77 dirhams away. people have broughtchairs , being smart. walking and walking in search of a spot that will guarentee us a good view. this "khamba"( pillar) is not helping. aaha. which is why you can imagine why nobody is standingthere.